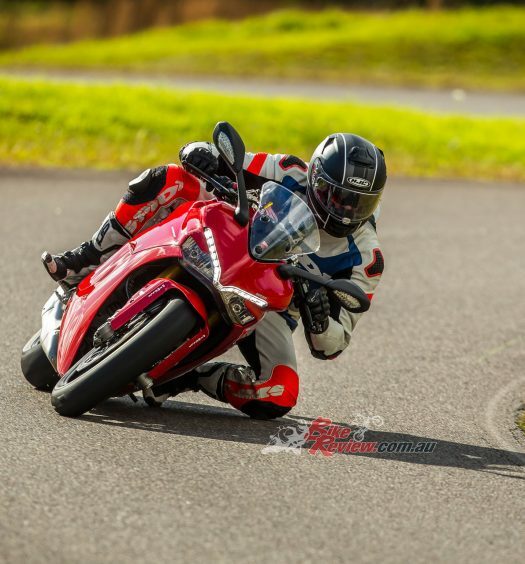 The Ducati SuperSport S is the up-spec version of the SuperSport, with 48mm Ohlins forks v 43mm Marzocchi on the standard model, and a two way quickshifter. 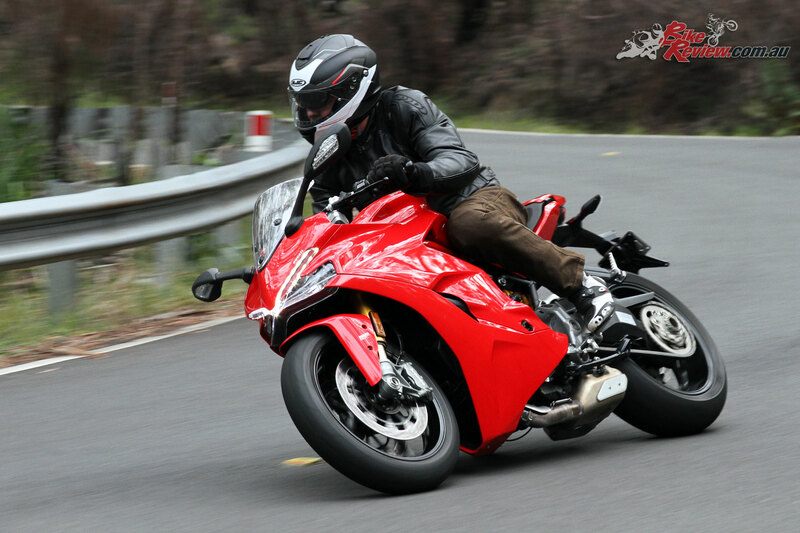 At under twenty grand plus on-roads and a wide service interval (30,000km for valves clearances), sportsbike fun with near touring comfort makes the SuperSport S a fantastic bike for Aussie roads. We recently spent a week on one on the roads, after previously testing one at The Farm at the launch last year. Here is our Video Review, the full test will be up soon! 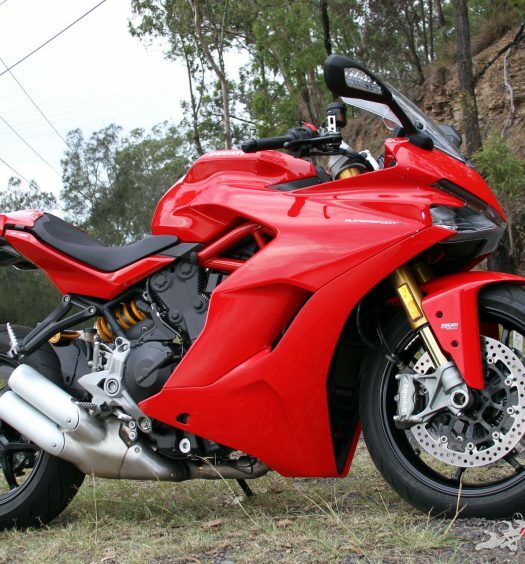 The SuperSport engine is a revised version of the 937cc Testastretta 11º unit. 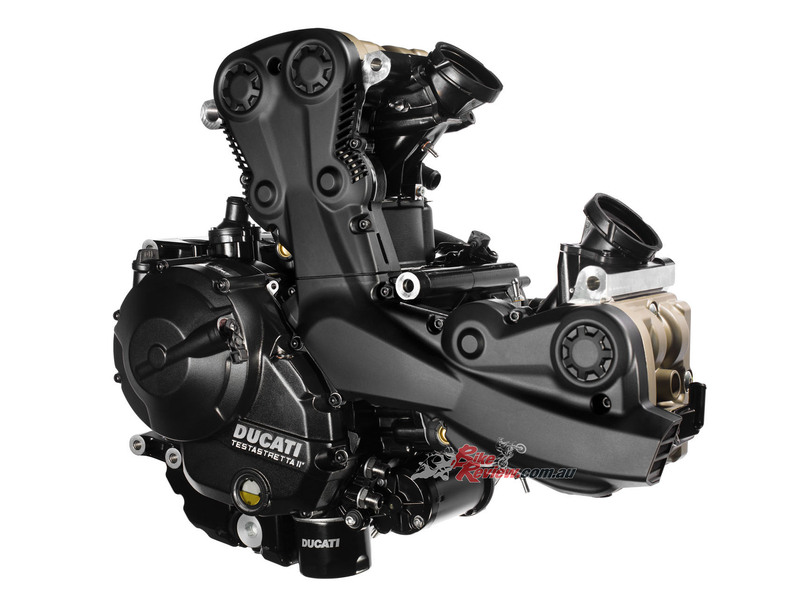 The engine is Euro 4 rated and features four-valves per cylinder, liquid-cooling and a 12.6:1 compression ratio. For the SuperSport, the cylinder-heads and crankcases have been redesigned so that the engine can be a fully stressed member of the chassis. The throttle-bodies are 53mm and the engine features a full RbW system. The cable-actuated clutch is a slipper unit and the gearbox six speed and is Ducati Quick Shift ready for plug and play on the standard version, while the S comes with DQS. Designed for road use, the engine is tuned to make 80 per cent of max torque at just 3000rpm, peaking at 6500rpm. Full power is at 9000rpm. The trellis frame, as mentioned, uses the engine as a stressed member. The sub-frame is steel and connected to the rear cylinder-head. Steering angle is 24º, trail is 91mm and wheelbase 1478mm. 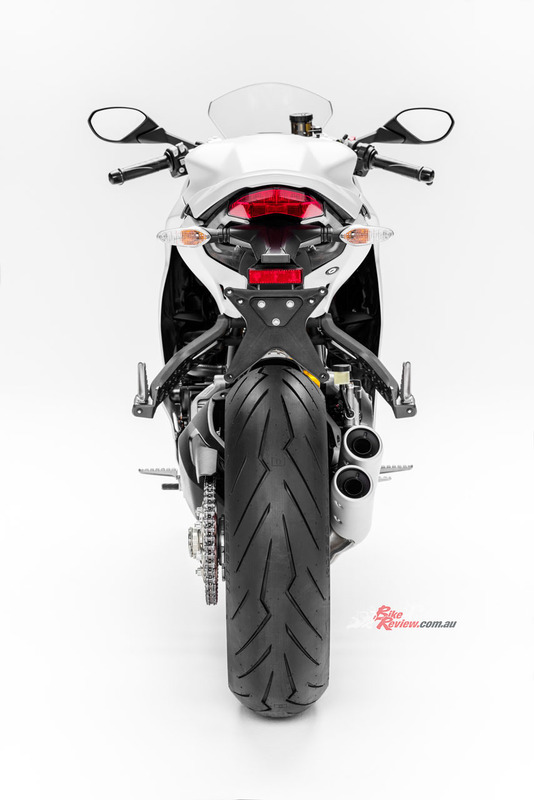 The rear tyre is a 180/55-17, and all of those facts combine to make the SuperSport agile yet stable, with fantastic fall-in and direction change and a 48º lean angle. 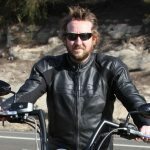 The handlebars are forged alloy, while the die-cast rearsets have alloy heel guards and the footpegs can be changed from the standard alloy units to rubber capped for touring. There is a toolkit under the seat, as well as a handy USB charge point. 180-section rear tyre, slim tail unit. The suspension varies between the standard and the S. The swingarm is a single-sided die-cast alloy unit. The Supersport forks are fully adjustable Marzocchi 43mm inverted items and the shock a Sachs fully adjustable unit. The SuperSport S features 48mm TiN coated Ohlins forks and an Ohlins shock. The shock attaches directly to the rear cylinder and the swingarm. The Y-shaped three-spoke wheels are lightweight and strong and are made of cast alloy. Standard tyres are the Pirelli Diablo Rosso III. The braking system is top spec. It features Brembo M4-32 monoblock calipers and a Brembo PR18/1 radial pump master-cylinder with separate reservoir. Front rotors are 320mm semi-floating and the rear rotor is 245mm fixed with a Brembo two-piston caliper. The Bosch 9MP ABS system has three mappings. 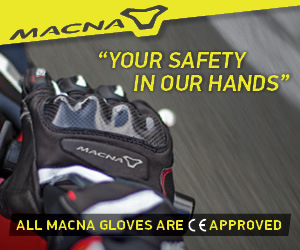 The Ducati Safety Pack (DSP) is standard and features Ducati Traction Control (DTC) and ABS. Level 1 is for high grip such as the track or sports riding, it acts only on the front wheel and turns off the rear wheel anti lift. Level 1 is not pre set to any of the riding modes but can be manually set by the rider. Level 2 includes the rear wheel ABS and anti-lift. Level 3 is the highest level of ABS for road or wet weather use. LED display dash is comprehensive. The DTC has eight levels of sensitivity with Level 1 being the least traction control and Level 8 the most. Each Riding Mode is pre set with a DTC level but they can be reprogrammed by the rider to suit or completely switched off. 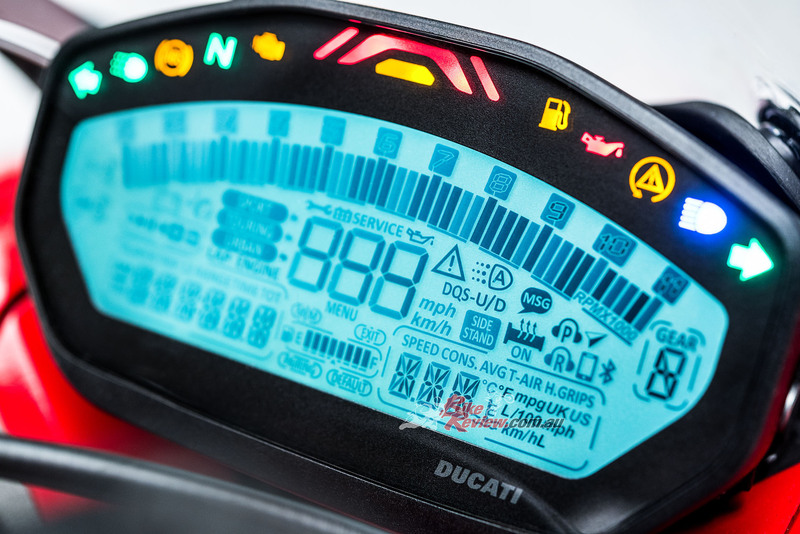 The three Ducati Riding Modes are Sport, Touring and Urban. Sport delivers the full 113hp with a direct RbW throttle response. DTC is set to 3, ABS 2, anti-lift minimum and DQS on (S). Touring gets full power, a more progressive throttle, DTC 4, ABS 3 and DQS on (S). While Urban is 75hp, progressive throttle, DTC 6, ABS 3, DQS off (S). The LCD display includes total distance, trip 1 and 2, engine temp, ambient temp, clock, DQS status, fuel, distance left, fuel consumption live, average fuel consumption, average speed, trip duration, Riding Mode, ABS, DTC level as well as the usual lights. 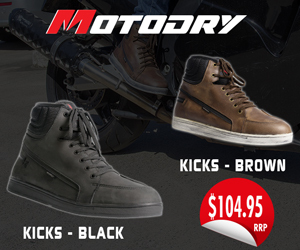 There is a huge range of accessories and apparel for the SuperSport visit ducati.com.au. 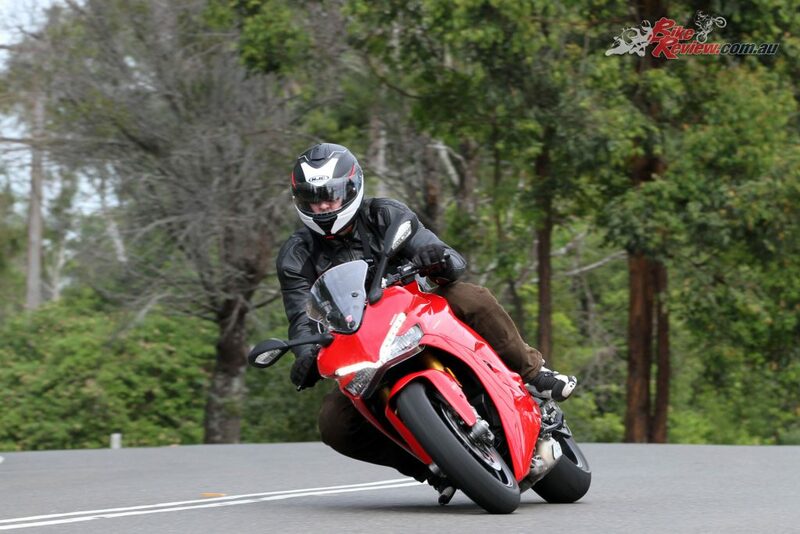 You can find the full review on the standard Ducati Supersport here. Frame: Tubular steel trellis frame attached to engine cylinder-heads. Brakes: 320mm semi-floating rotors, Brembo M4 32 monoblock calipers, radial pump master-cylinder, ABS. 245mm rear rotor with two-piston caliper. Wheels & Tyres: Y-Shaped 3-spoke light alloy wheels, 3.50 (f), 5.50 (r), Pirelli Diablo Rosso III 120/70-17 and 180/55-17 tyres. 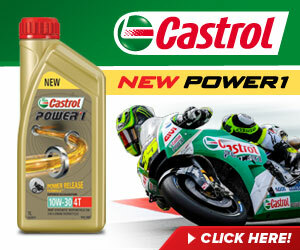 Electronics: Riding Modes, Power Modes, Ducati Safety Pack, RbW. Warranty: 24 months unlimited kilometer. Maintenance: 15,000km service (30,000km valve clearance).